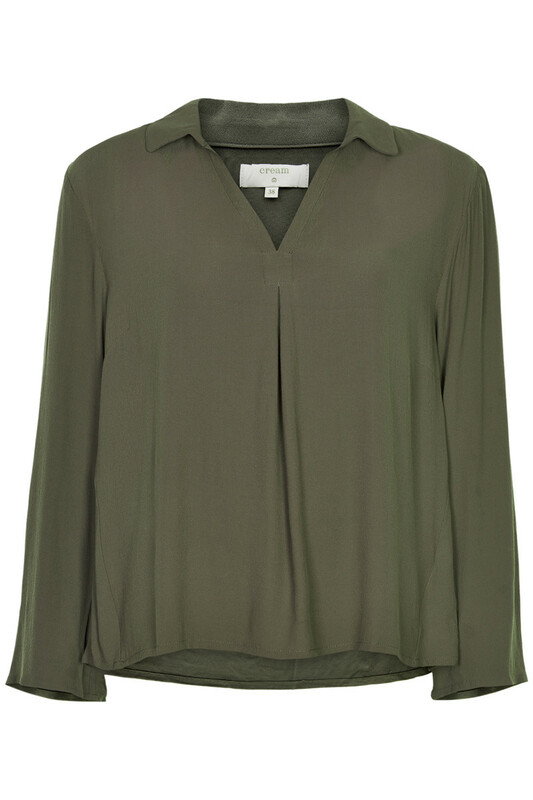 Soft and classic shirt blouse from Cream. The blouse has long sleeves with width, a regular fit and v-neckline collar. The shirt blouse is absolutely amazing to wear and has this classic and elegant expression. With its simple look, it is a safe choice for both everyday use and evening events, and it's lovely easy to style with everything from the wardrobe.